Whenever a homeowner think about window replacement, there is one question that pops in his/her mind-the average cost of replacement windows installed. Getting the right answer for that question is important since the success of any window replacement project depends on proper financial planning. Knowing the estimate budget helps you do decide on the window styles to use and the labour needed among other things. Windows are important components of our homes. Apart from providing natural ventilation, they also improve the aesthetic properties, provide natural light, among many other benefits. The average cost for replacement windows will be determined by the following factors. There are different kinds of windows available for every group of customer. The most preferable kind of window is a double-hung window. This type of window contains two numbers of sashes and these sashes usually move up and down frequently. Another famous window is casement window. This window has functionalities just like doors. Awning window is a special kind of casement window. A single difference is that, this window opens up horizontally. For basement windows, awning windows are the best option. Again, a sliding window opens only on its track. Many different window manufacturing companies are providing attractive discount on bulk replacement of windows. 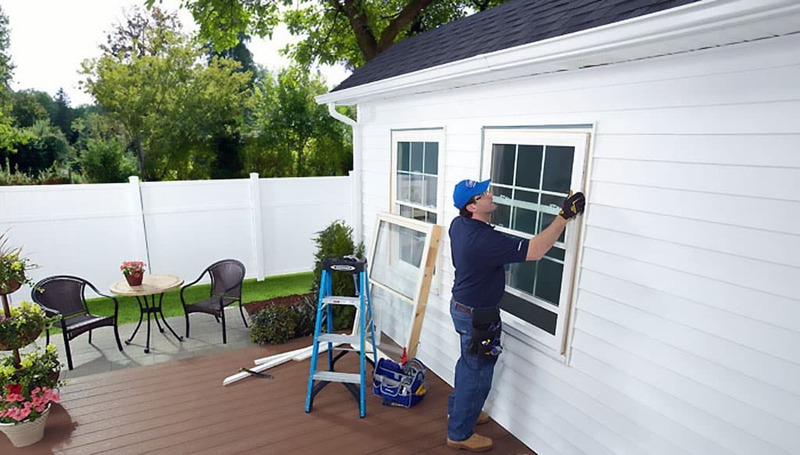 If you are thinking about windows replacement, then you have to check each and every window of your house thoroughly. If you will replace only one or two windows, then the replacement expenses will be high. But, if you decide to replace all windows at the same time, then you can get discount. There are different companies who do provide attractive financial schemes for the process of window replacement. If your windows can be repaired effectively without replacement, then don’t rush for replacement. The average cost to replace windows is much higher as compared to the repairing process. According to the requirements and the extent of damages, the overall cost can vary. The full frame installation process is expensive than that of the retrofit installation process since a lot of labour and materials is needed for the former. You have to choose the specific kind of frame in order to estimate the average expenses of the process of installation and replacement. The type of frame can affect the overall expenses. The selection of glass can influence the cost of the overall window replacement process. People do need high quality energy-efficient glass for their home. In double-pane or triple-pane windows, inert gases are present in between these panes. Assigning the process of window replacement to an experienced and knowledgeable professional is very much necessary. It will no doubt hasten the installation process.